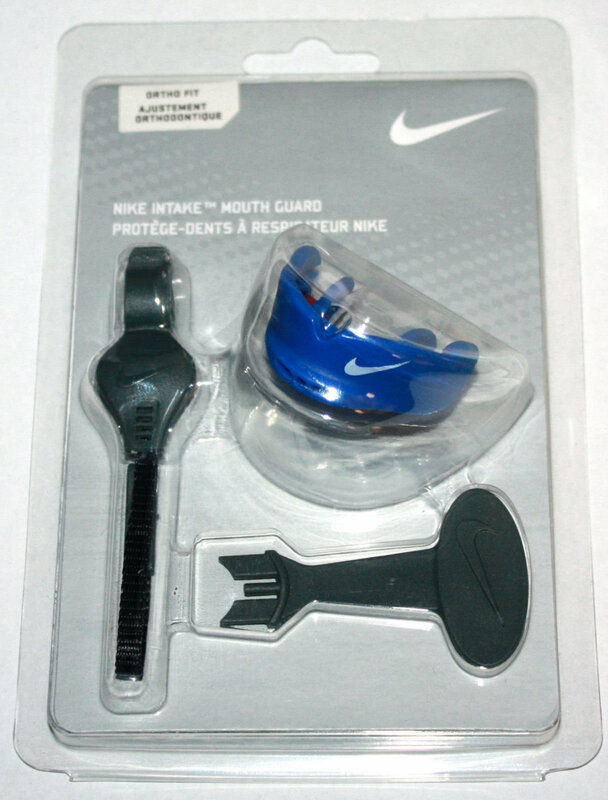 The Nike Intake Kids' Mouthguard is designed to deliver incredible protection without sacrificing comfort and breathability. Increased ventilation channels help increase airflow, while the sculpted design leaves room to comfortably rest the tongue. Materials: Mouthguard: 100% EVA. Boil stick: 100% polypropylene. Helmet strap: 100% polyester.